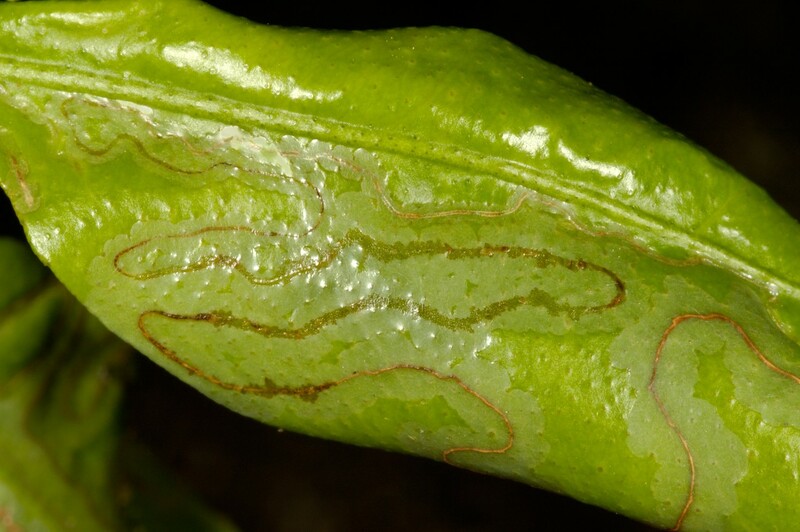 Leafminers are insects that feed inside a leaf. Their feeding causes large blotches and tunnel like damage to the plant. Leafminer infestations that start in ground cover or trees can go unnoticed for long period of times. But when leafminers attack our vegetable gardens, just one infested leaf becomes very noticeable. There are many species of leaf miners including sawfly, elm, tentiform, lilac, needle, aspen and poplar. On vegetables, the more common miners include the spinach and columbine miners. The good news is all species are treatable once detected. And 1-2 treatments a season will usually keep them away. For active leafminers in your garden, use MULTIPURPOSE INSECT KILLER for fast control. Approved for organic gardening, it has just one day to harvest when sprayed on garden fruits or vegetables. Add 6 oz per gallon of water and expect to get about 500 sq/ft of plant coverage per gallon of mixed solution. For ornamental shrubs, trees and flowers, ADONIS is your best option. This odorless concentrate will protect trees and shrubs for a full year. Apply it in the spring as a soil drench for a complete season of control. Use 1 oz for every 10 inches of tree trunk mixed in 3-4 gallons of water and poured into holes around the tree base inside the drip line. A 5 gallon pail works well for this application. 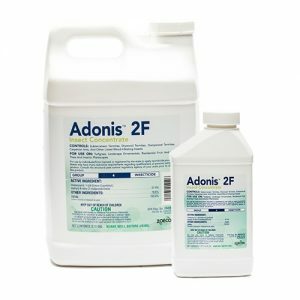 Adonis will take 3-4 weeks to soak in to the leaves and foliage but once in place, it will kill any pest that might eat it such as aphids, white flies, leaf miners, caterpillers and more. Adonis can also be sprayed as a foliage spray. Use .5 oz per gallon of water and plant on getting about 500 sq/ft of coverage per mixed gallon.